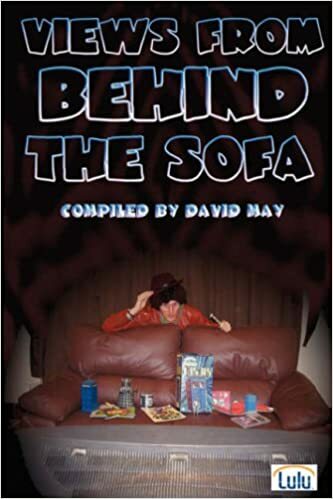 In 2007, David May had a great idea – he’d send a list of questions out to a bunch of Doctor Who fans and compile the replies in a book. The book would reflect the wide range of fans’ experiences across several countries. The result was a huge volume packed with endlessly fascinating writing. Battlefield had a great idea underpinning it, not to mention a new Brigadier, but the execution was so poor it made the story virtually unwatchable. Thankfully, the wonderful Curse of Fenric, which I watched with my university house-mates, redeemed the season and for once I wasn’t squirming with shame throughout the twenty-five minutes. The extended edition movie on the DVD is even better. Ghost Light was unnecessarily confusing but undeniably stylish, whilst Survival failed to deliver on the cat people (something that Who didn’t get right until New Earth). The main characters wandering off into the sunset to the accompaniment of McCoy’s soliloquy was barely adequate as the end of regular Who on TV. Doctor Who doesn’t talk down to its audience. It retains its sense of wonder and childlike enthusiasm for the unknown. It doesn’t get bogged down in irrelevant details, like the culture of the aliens – we don’t care about that guff. It puts an emphasis on the literate over the populist – at least it should do. It’s more about mythology than how the future will be. You can still buy the book on Amazon. Click here for the book’s page. This was the first book where I assisted with the proofreading.